This paper presents kinematic and static analyses of an active-caster robotic drive with a single-layer ball transmission (ACROBAT-S). 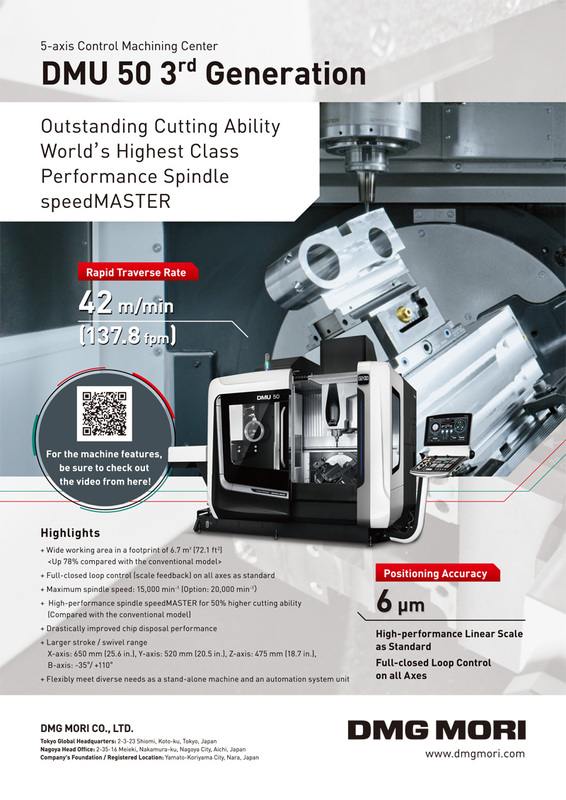 On the basis of the analyses, a single-wheel prototype is designed, and fundamental experiments using the prototype are conducted. 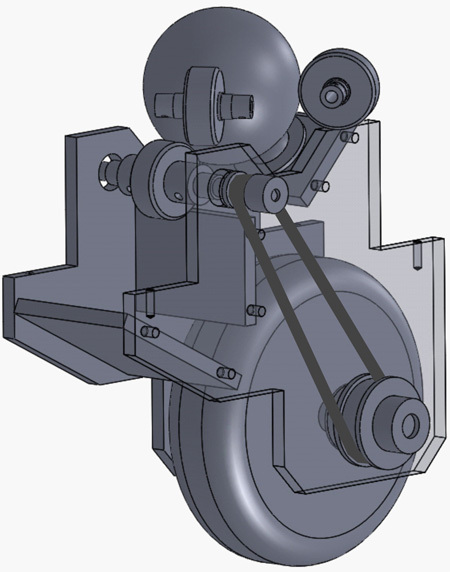 The proposed ACROBAT-S includes a ball transmission that transmits power to a wheel axis and steering axis of an active-caster wheel in an appropriate ratio to produce so-called “caster motion.” The power distribution is realized mechanically rather than by complicated computer control algorithms. Therefore, the angle sensor for detecting the wheel orientation, and the control calculations for coordinated control of the wheel and steering motors of a conventional system are eliminated. Thus, the proposed mechanical design, which transfers a part of the control function to the mechanism, contributes to simplifying the overall control system. The results of the analyses and experiments with a prototype confirm that the proposed active-caster mechanism, ACROBAT-S, can realize the expected omnidirectional motion with simple motor control, such as Point-To-Point control. K. Kato and M. Wada, “Modeling and Mechanical Design of an Active-Caster Omnidirectional Mechanism with a Ball Transmission,” J. Robot. Mechatron., Vol.30, No.6, pp. 910-919, 2018. S. Ishida, N. Shimpuku, K. Ishii, and H. Miyamoto, “Holonomic omnidirectional vehicle with ball wheel drive mechanism and application to RoboCup soccer middle size league,” J. of Japan Society for Fuzzy Theory and Intelligent Informatics, Vol.26, No.3, pp. 669-677, 2014 (in Japanese). K. Terashima, H. Kitagawa, T. Miyoshi, and J. Urbano, “Frequency Shape Control of Omni-directional Wheelchair to Increase User’s Comfort,” Proc. IEEE 2004 Int. Conf. on Robotics and Automation, pp. 3119-3124, doi: 10.1109/ROBOT.2004.1307542, 2004. M. Kumagai, “Development of a Ball Drive Unit Using Partially Sliding Rollers – An Alternative Mechanism for Semi-Omnidirectional Motion –,” Int. Conf. on Intelligent Robots and Systems, pp. 3352-3357, 2010. M. West and H. Asada, “Design of Ball Wheel Mechanisms for Omnidirectional Vehicles with Full Mobility and Invariant Kinematics,” J. of Mech. Design, Vol.119, No.2, pp. 153-161, doi:10.1115/1.2826230, 1997. K. Tadakuma, R. Tadakuma, and J. Berengueres, “Development of Holonomic Omnidirectional Vehicle with ‘Omni-Ball’: Spherical Wheels,” Proc. of the 2007 IEEE/RSJ Int. Conf. on Intelligent Robots and Systems, pp. 33-39, 2007. K. Tadakuma, R. Tadakuma, and S. Hirose, “Mechanical Design of VmaxCarrier2, Omnidirectional Mobile Robot with Function of Step-Climbing,” J. Robot. Mechatron., Vol.17, No.2, pp. 198-207, doi: 10.20965/jrm.2005.p0198, 2005. M. Takahashi, T. Moriguchi, S. Tanaka, H. Namikawa, H. Shitamoto, and T. Nakano, “Development of a Mobile Robot for Transport Application in Hospital,” J. Robot. Mechatron., Vol.24, No.6, pp. 1046-1053, doi: 10.20965/jrm.2012.p1046, 2012. A. Yamashita, T. Kanazawa, H. Asama, H. Kaetsu, I. Endo, and T. Arai, “Development of a Holonomic Omni-Directional Mobile Robot with Step-Climbing Ability,” J. Robot. Mechatron., Vol.13, No.2, pp. 160-167, doi: 10.20965/jrm.2001.p0160, 2001. M. Komori, K. Matsuda, T. Terakawa, F. Takeoka, H. Nishihara, and H. Ohashi, “Active omni wheel capable of active motion in arbitrary direction and omnidirectional vehicle,” J. of Advanced Mechanical Design, Systems, and Manufacturing, Vol.10, Issue 6, p. JAMDSM0086, doi: 10.1299/jamdsm.2016jamdsm0086, 2016. M. Wada and S. Mori, “Holonomic and Omnidirectional Vehicle with Conventional Tires,” Proc. of the 1996 IEEE Int. Conf. on Robotics and Automation, pp. 3671-3676, 1996. K. Terashima, S. Takenoshita, J. Miura, R. Tasaki, M. Kitazaki, and R. Saegusa, “Medical Round Robot – Terapio –,” J. Robot. Mechatron., Vol.26, No.1, pp. 112-114, doi: 10.20965/jrm.2014.p0112, 2014. M. Wada, “Caster Drive Mechanisms for Holonomic and Omnidirectional Mobile Platforms with no Over Constraint,” Proc. of the 2000 IEEE Int. Conf. on Robotics and Automation, pp. 1531-1538, 2000. M. Wada, Y. Inoue, and T. Hirama, “A New Active-caster Drive System with a Dual-ball Transmission for Omnidirectional Mobile Robots,” Proc. of the 2012 IEEE Int. Conf. on Intelligent Robots and Systems, pp. 2525-2532, 2012. M. Wada and K. Kato, “Kinematic Modeling and Simulation of Active-caster Robotic Drive with a Ball Transmission (ACROBAT-S),” IEEE/RSJ Int. Conf. on Intelligent Robots and Systems, pp. 4455-4460, 2016.